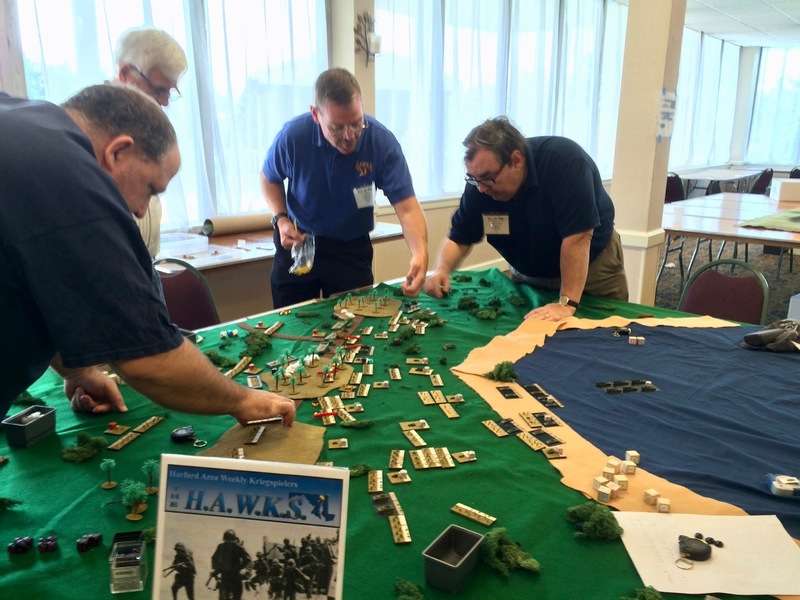 Fall-In Saturday Evening and Sunday HAWKs’ Room Games | H.A.W.K.S. 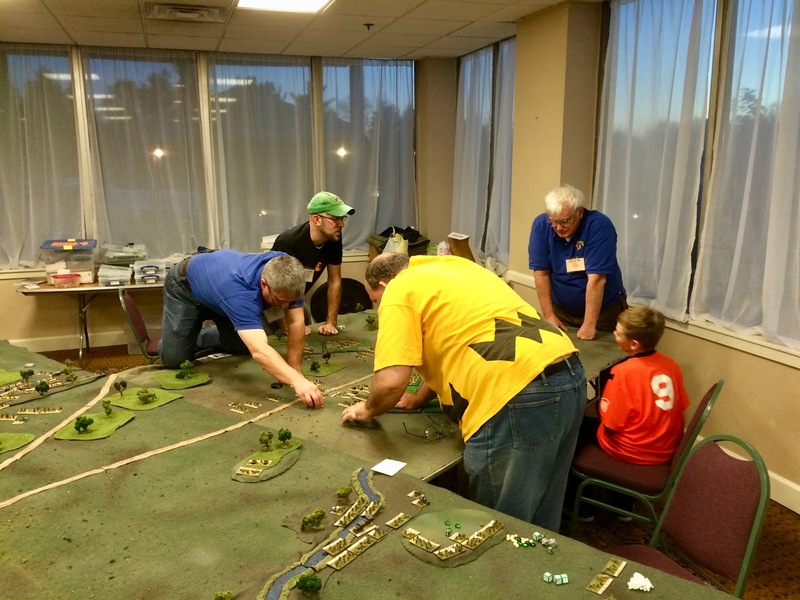 Chris Palmer Here are a few shots of some of the games in the HAWKs room Saturday evening and Sunday morning at Fall-In. 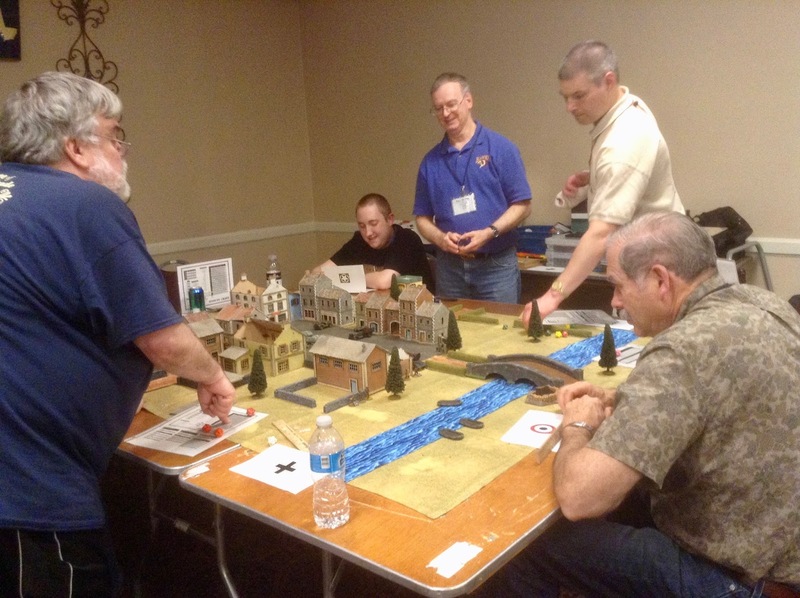 Jim McWilliams’ ran another SAGA game. 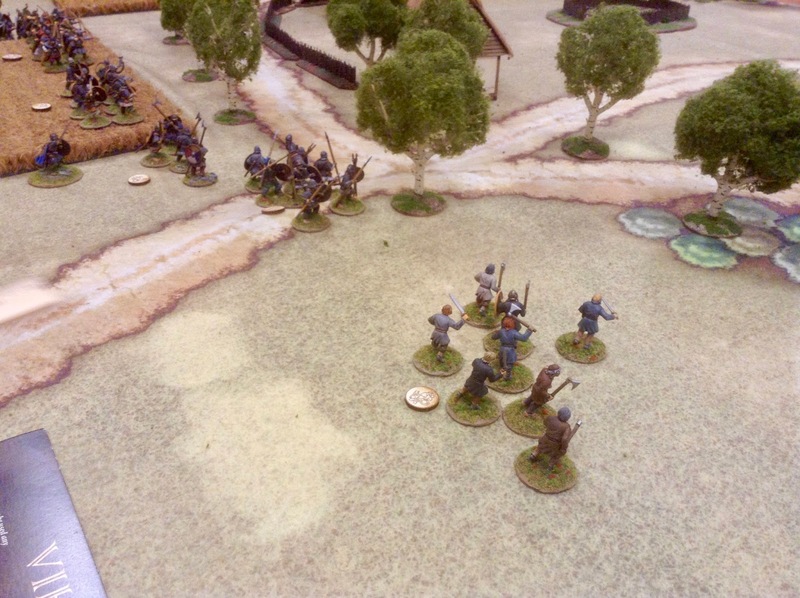 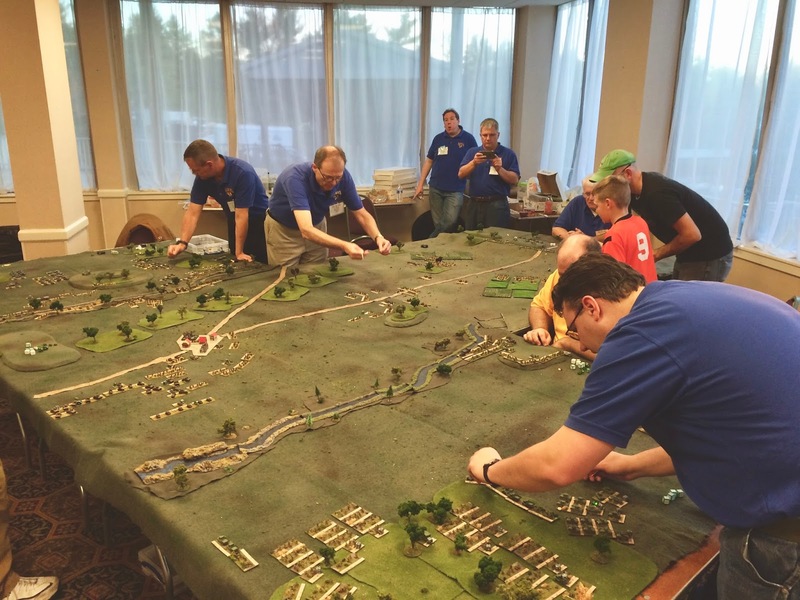 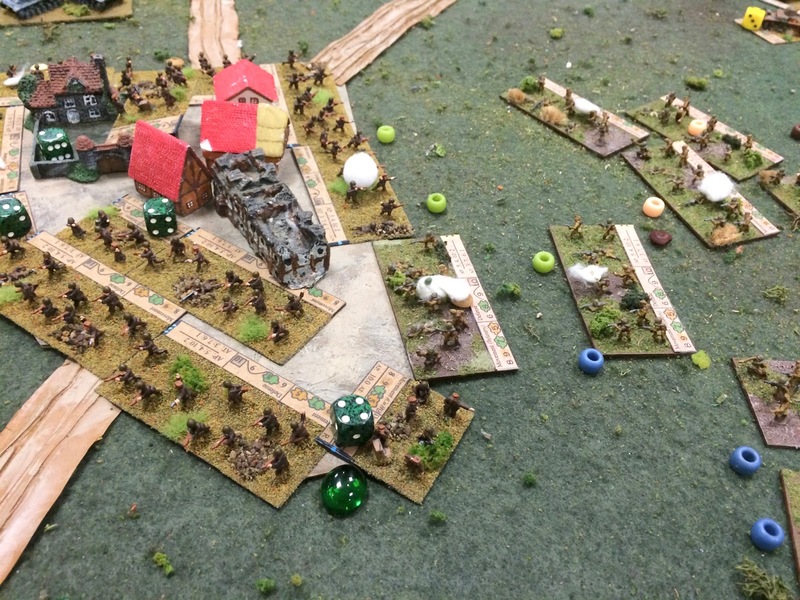 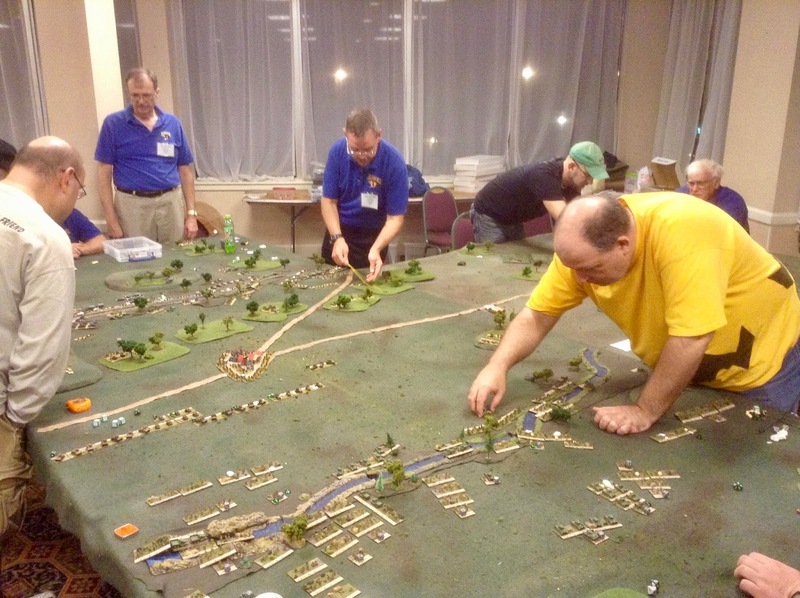 Don Hogge’s “Patrolling the Village – France 1944” game using Battleground rules. 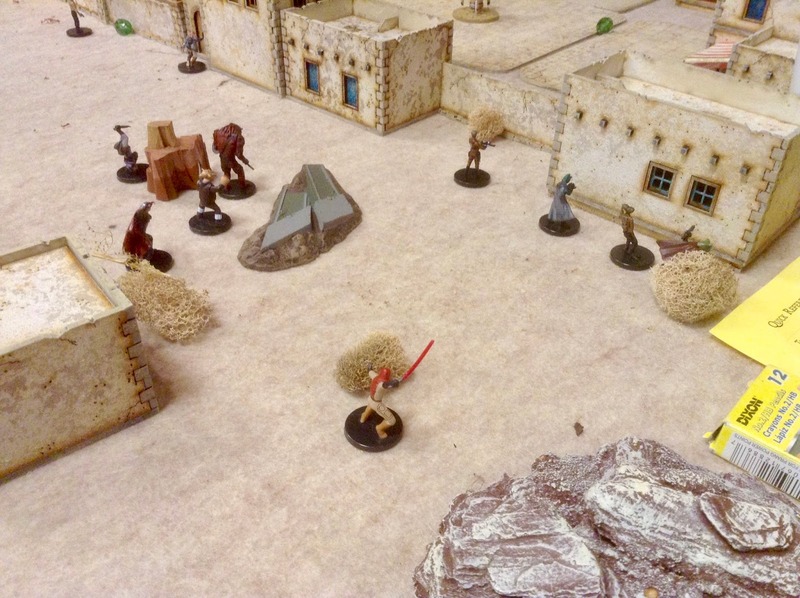 Greg Priebe’s “Star Wars: ForceGrave” game using modified Frostgrave rules. 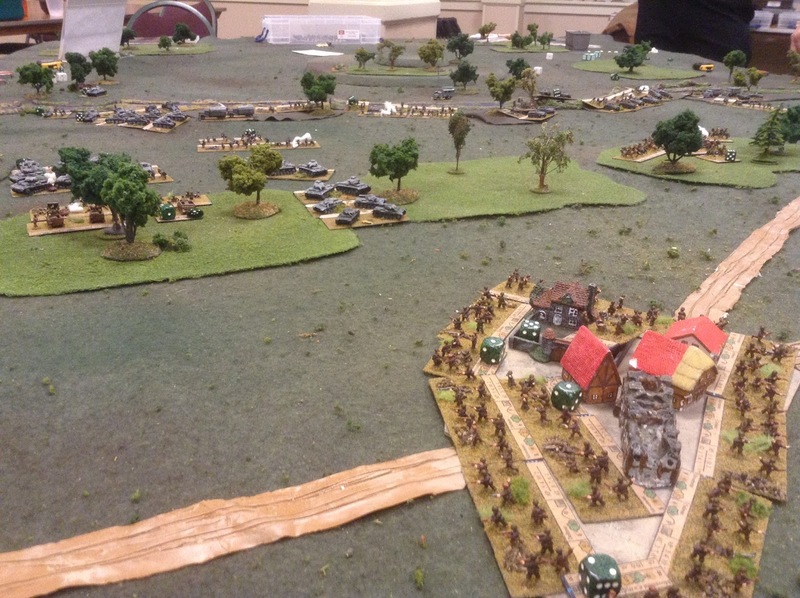 Sunday morning the HAWKs ran three games. 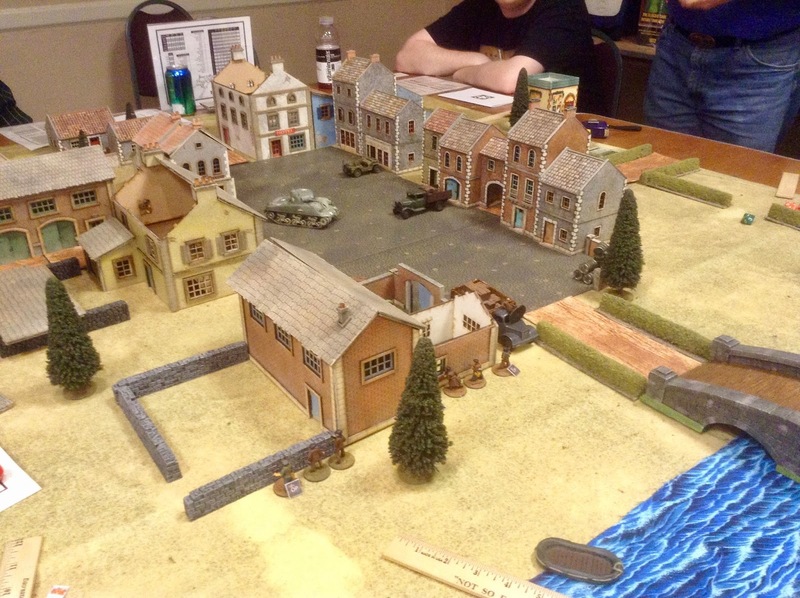 Dave Wood’s “Look, Sarge, We are Taking a Japanese Airfield” game using Look, Sarge, No Charts: WWII rules. 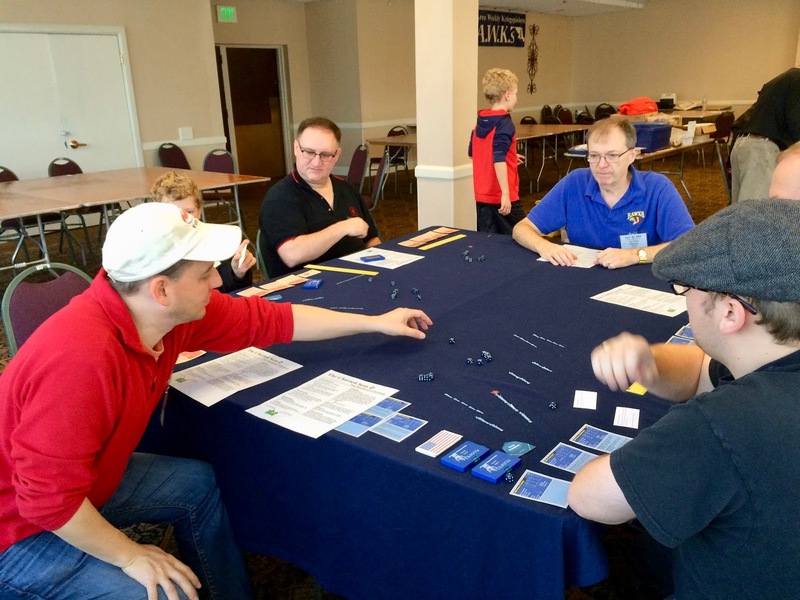 Duncan Adams’ “Clash of Steel” game using Charted Seas 2 rules. 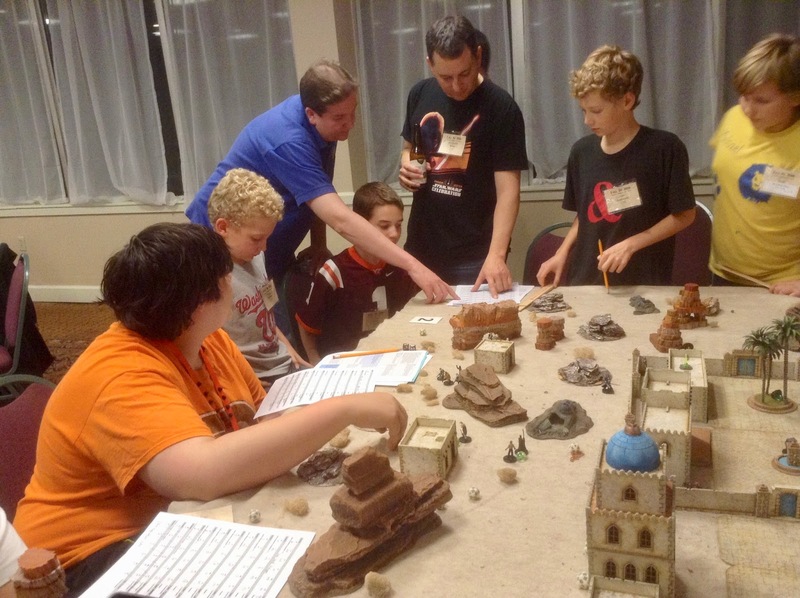 Eric Schlegel’s “The Ruins of Castle Anthrax” game using Blood & Swash rules. 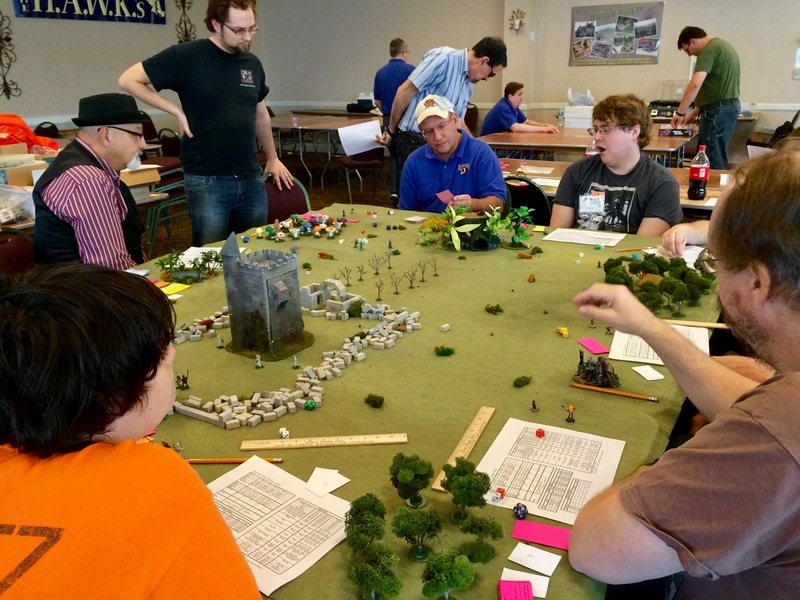 A big thank you goes out to all the gamers who came out and played in our games! 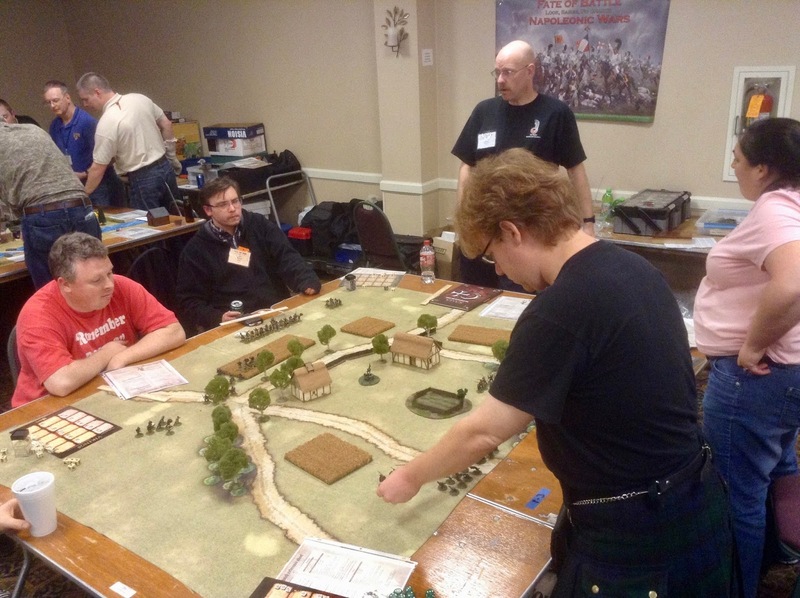 See you all at Cold Wars!